Jodhpur is one of those places in the world that adds color to even those places where one can never expect a bird to fly. That’s right the colorful city blooms like a flower in the mid of the desert. The city, its authentic Rajasthani theme, culture, tradition, food, and lifestyle are completely unique. These allure a lot of tourists from all around the world to experience a totally different style of vacationing. Jodhpur knows the wishes of the tourists very well. Therefore, the city extends the exhilarating water world and amusement parks to let the tourists beat the scorching heat of the sun. Let us know more about what each water park in Jodhpur, Rajasthan has for its sightseers. 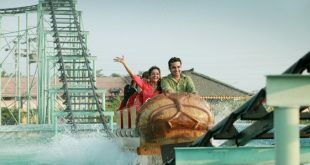 If you are in a mood to visit the best water park in Jodhpur, then you ought to start your trip at Fun World. The fun world matches aptly to its name. 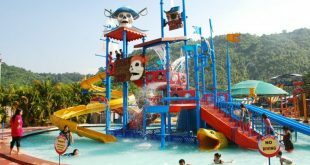 The water amusement park is a total package of absolute fun and rollicking frolic. 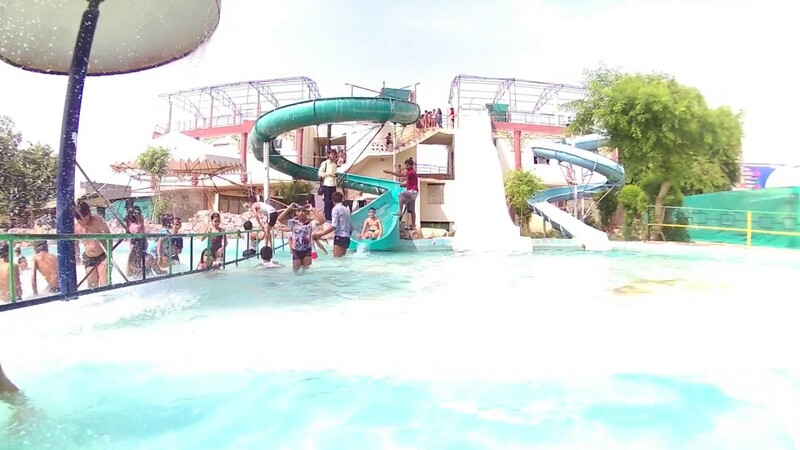 The Fun World water park in Jodhpur is like an oasis in the dry uninhabited region. The water amusement park has a different premise, mesmerizing greenery all around. You get to feel the positive aura as you enter into the park. Refresh yourself at the swimming pool. The pools are huge to let you satisfy your quench and get rid of the heat. The water rides and body are exhilarating. Slide, swash and shout along as you slip down the water slide and the heights of all the water rides are quite impressive. The multilane water slide is a perfect point to judge who amongst you in your gang is the fastest to get a dive into the pool. Race and find it out! The Hara Kari slide is a water tube slide that will get your body grooving along with the twists and turns, whirling you around before you get a dip into the water pool beneath. Isn’t that exciting? There are more rides to get you a real adrenaline rush. If you are worried about the kids, then drop the idea that bothers you. 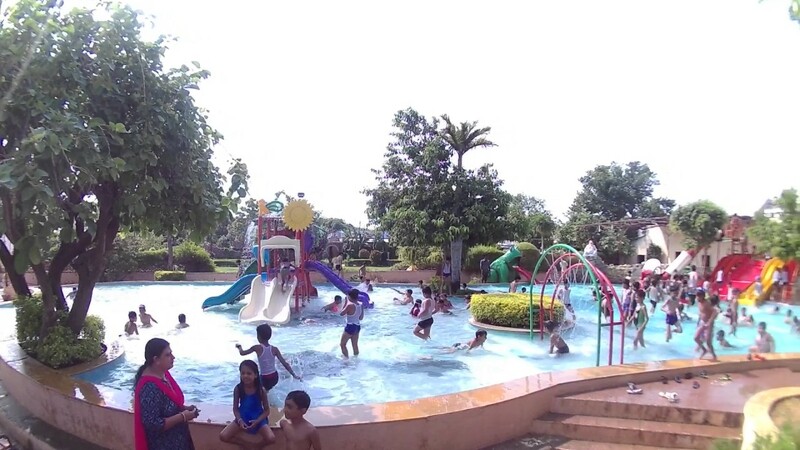 This water park in Jodhpur city takes utmost care of the kids too. The kids have a distinct zone allotted to them where they indulge in various fun activities. They also have toddlers’ and kids’ pool to enjoy just the way you do. The elders too get some amazing quality time together. They can take a walk around the Fun World Water Park in Jodhpur, sit beside the fountain to feel the cool water beat the temperature or dip their feet in the pools and watch the kids having ultimate joy. The aqua rain dance floor is the furthest fun point. Shake your legs and show the moves you got along the music beats on the dance floor. Safety is the first priority of the park. 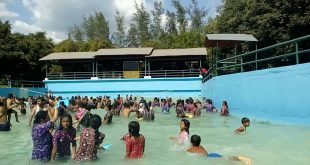 The staffs, security, and lifeguards are always present to avoid any mishap. There is an array of eateries that will overwhelm you by their varieties. Whether fast food, modern-day multi-national cuisine or authentic Rajasthani thali, the restaurants serve all kinds of delicacies. So, rejuvenate and refill your energy. Do justice to your vacations in the desert getting drenched and soaked in a water pool just at the Fun world water park of Jodhpur. Are you looking forward to a water park that also has a resort in its premise? 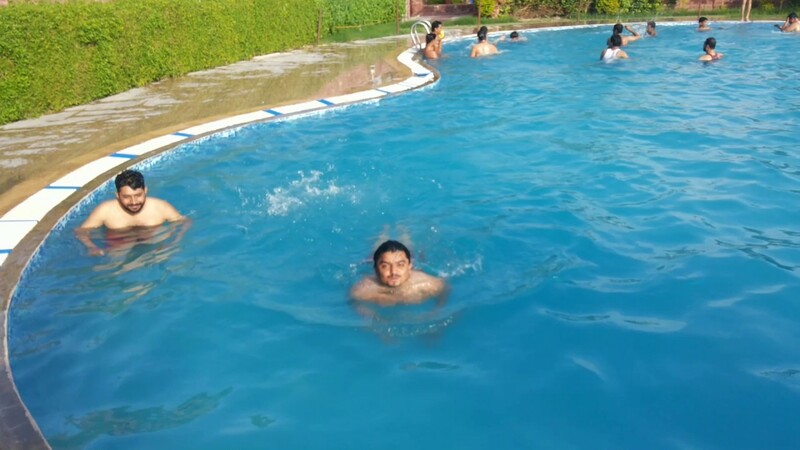 The out if the city OTC water park in Jodhpur is the right place to drop in. The water amusement park is beautifully embellished by Mother Nature. A view like never before, the stunning scenic panorama of the Water Park resort and amusement park in Jodhpur will take your breath away. The amazingly maintained environment makes sure to bring the tourists closer to the culture and ambiance of Rajasthan. The entire water park and resort add up a little extra to the thrilling levels of fun that you have. 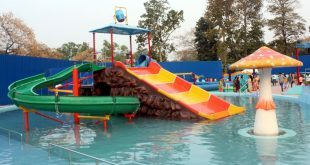 So, relax and chillax this vacation at the water park of Jodhpur with your dear ones and lure your senses to the core. 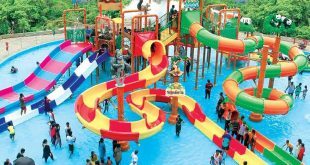 The water park near Jodhpur is a paradise in reality for the kids. 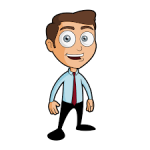 The kids have a whole area for themselves to bring out the best of their childish attributes. The colorful theme of the fun zone will stupefy you. You will definitely fall in love with the large swimming pools here. The place is one of the favorites for the elderly to hang out. The peace and serene atmosphere of the garden area will take you back into the memory lanes. The amusement zone of the park is yet another aspect that will unleash the trapped kid in you. In Rajasthan yet did not ride a camel’s back? Hold tight! The new water park in Jodhpur lets you do so. They also showcase folk dances and puppet shows. The eateries are one of the best in the city. The place entices you by its charm at night. 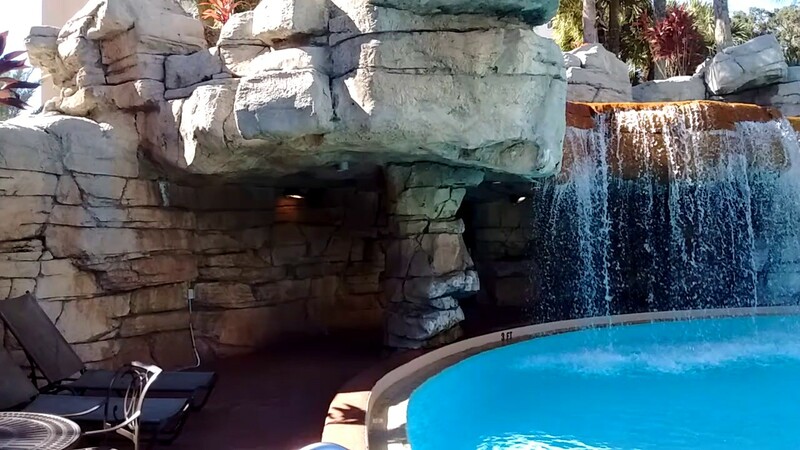 You must plan a stay at the water resort to enjoy to the fullest. This is an ideal place to be in for a marvelous vacation. Do come in for a royal experience in the city at this top-rated water park in Jodhpur. Jodhpur has beautiful markets, palaces, desert stay, mouth-watering cuisines, and much more to try. The water parks, on the other hand, are a way to relax and refresh your mood. 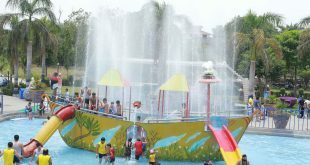 The outstanding services that the water parks have are hard to find anywhere in the state. In addition to the special attractions that the parks have, the location of the water parks makes them the most demanded points of interest. The best part of visiting these parks is about the great deals and packages that they offer. The fun does not come with a marked price. These water parks in Jodhpur indubitably stand for the same.